You already know the basic formula for weight loss. Eat right and exercise. But of course it's not really that simple. You hear so many different things about what "eating right" means - low carb, no carb, good fats, no fat, caveman?? And everyone seems to have a different opinion of which exercise is most efficient at the moment. So you start researching workout and weight loss plans with good intentions of getting healthy and immediately become overwhelmed, confused, and frustrated. Then, because you don't know what to do, you don't do anything, end up disappointed in yourself, and maybe gain a few pounds along the way. Sound familiar? I am here to help you cut through the noise and break the cycle. I've been there. I know how it feels to be unhealthy. But I also know what it feels like to reclaim your health and your life! Bonus - I'm a certified personal trainer and sports nutritionist. I know what works and I know what's just a fad. I don't do fads. I understand the relationship between your body, food, and exercise. I can recommend fat burning foods and workouts based on science that I've seen work for thousands other people. I get that seeing quick results is motivating and keeps you moving and minding what's on your plate. That's why I designed Fat Flush to help you lose the fat . . . . FAST. This program combines a healthy eating plan (NOT A DIET) with efficient workouts guaranteed to get your heart pumping. Eat right and exercise - finally and simply decoded. *you just need light and heavy dumbbells, a mat/towel, and a chair/bench/box. 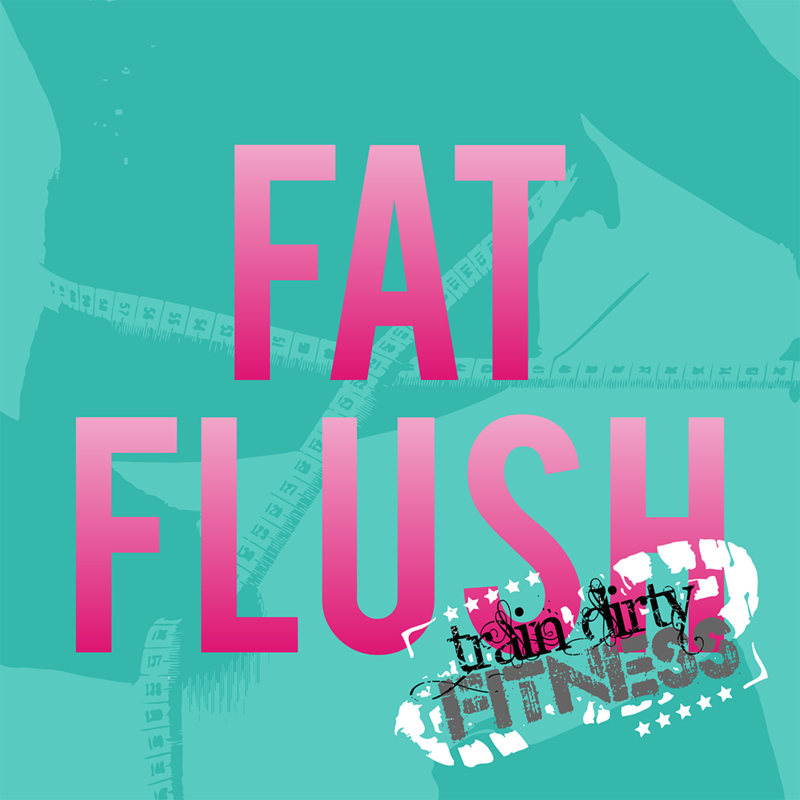 Phase 1: Start flushing the fat! Fat Flush nutritional guideline (this is a basic generic plan and is not written for specific requests, food allergies, or likes/dislikes). You are however welcome to sub out when appropriate for yourself. May be done at home or printed to take to the gym. You need light and heavy dumb bells, a mat or towel, and a chair or bench/box. Phase 2: Level up your results!